You can add personal information about yourself in your bio, like previous places you've worked, projects you've contributed to, or interests you have that other people may like to know about. Repositories you own or contribute to and get a feel for the type of work you're interested in. 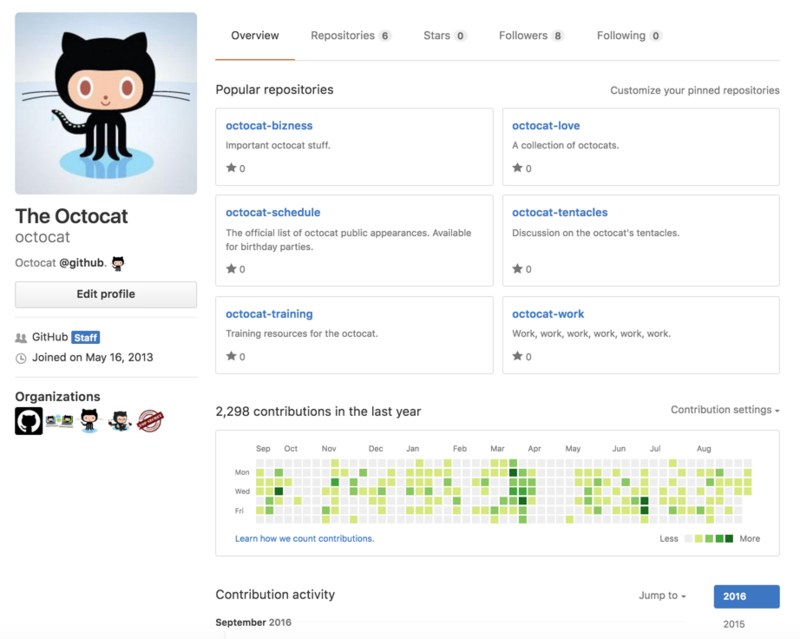 You can choose which repositories showcase your best work by pinning them to your profile. You can choose to display public contributions or to also include private, anonymized contributions.